This past weekend, Mike the writer took a weekend off to play minion for my wife Veronica, who had a booth at the Rhode Island ComicCon (the third con ever for Storied Threads). For me, the fun part of working cons is playing “spot the cosplay.” I’ve grown to appreciate how creative and clever some people can be, with their costume choices and in crafting their costumes and props, and I love the costumes that go in wonderfully weird directions — the ones who stand out among the thousands of Adventure Time outfits, Jokers and Harley Quinns, Deadpools, and (yes, I’ll say it) Doctors. 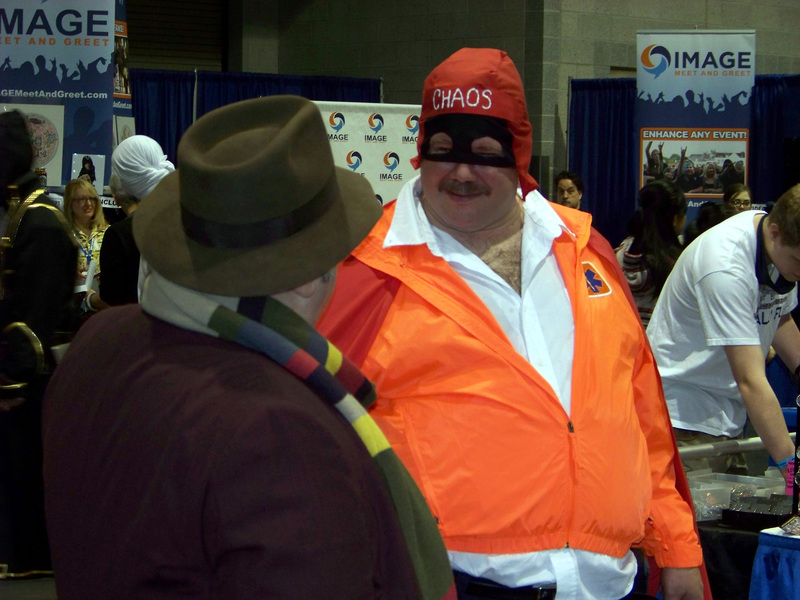 To wit, perhaps my favorite outfit of the show, for the obscurity of it: Captain Chaos, Dom DeLuise‘s alter-ego from The Cannonball Run. 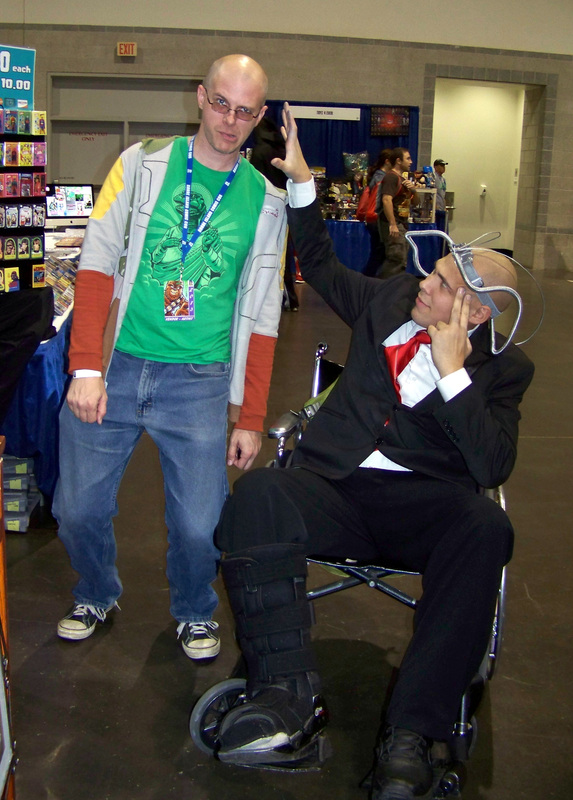 This fellow made the best of a bad leg and went as Professor X from the X-Men, but he went the extra mile and wore a Cerebro rig. Funny thing is, I don’t remember posing for this picture. 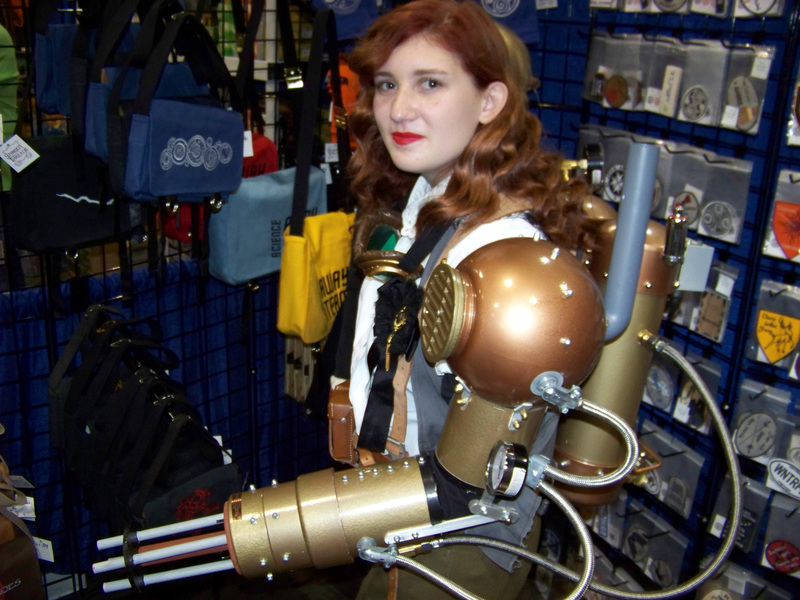 This girl wasn’t any specific character, but I loved the steampunk weapons rig. It was extremely well-done. 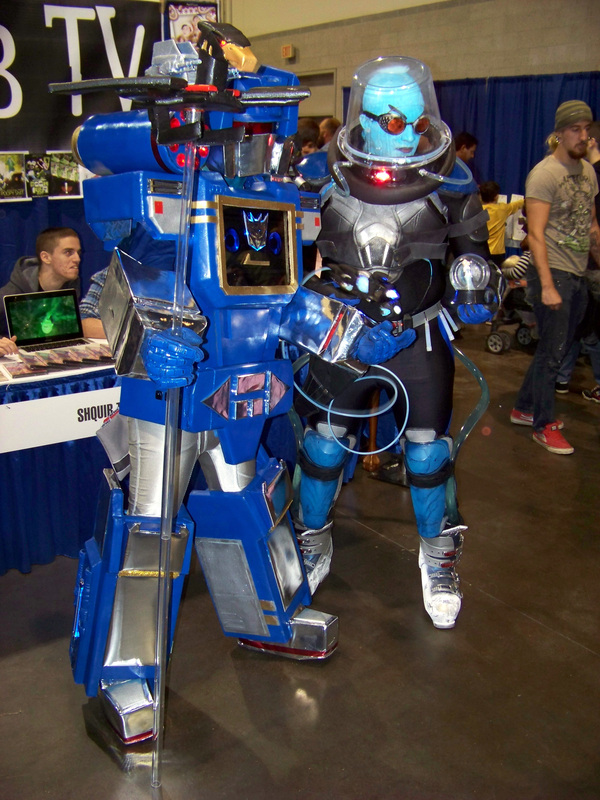 An odd but cool crossover: Soundwave (with Laserbeak) and Mr. Freeze. 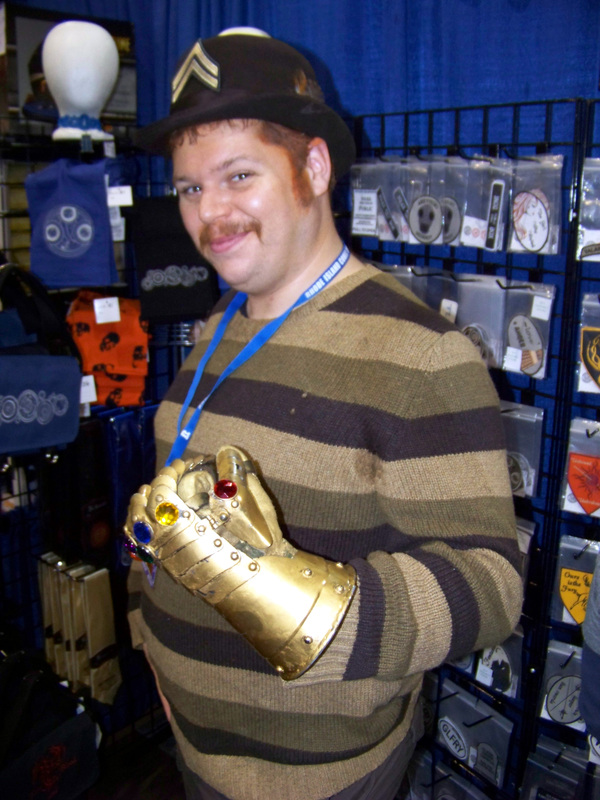 Another fun, unusual choice: Dum-Dum Dugan of the Howling Commandos, with, for some reason, the Infinity Gauntlet. This girl has a pretty cool (ha, see what I did there?) 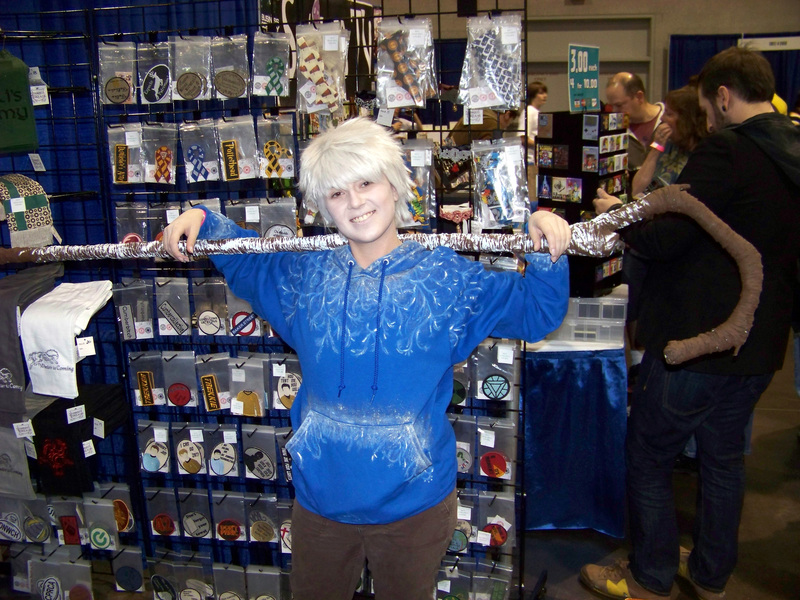 Jack Frost (from Rise of the Guardians) outfit in general, but I was wowed by the staff, which had a PVC pipe frame, and was then covered in crinkled masking tape for the texture, given a brown base coat, a white and blue frost layer, and then, to finish, more white and blue mixed with glitter. Action Figures – Now Available On Kindle!